Should you hire a professional for your wedding makeup or do it yourself? TEMPTU AIRbrush Makeup System ($225) is a lightweight system that lets you spray on concealer, blush, bronzer, or highlighter. It gives you a flawless, fresh, and dewy look. You can even use it all over your body. Really fast to do….Sephora lets you do a trial of this stuff..
Like Chelsea Clinton, you could keep it real simple and opt to not wear any makeup. Especially if you have a great skincare regimen and your skin looks great anyway like hers. Can you use your wedding dress for fundraising? I was thinking about this the other day when I ran across an article about a lady that climbed mountains for cancer charities in her wedding dress. Most of us have heard of typical fundraising oppurtunities but this one was new to me. In Anne-Marie hopes to climb Mount Kilimanjaro in a dress, but it seems that that is currently prohibited in their guidelines for safe climbs. Of course that isn’t as strange as what principal do for their kids at school once they reach a fundraising goal. See below. 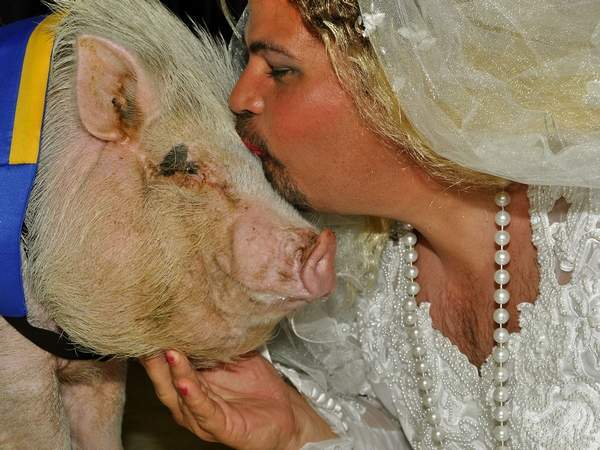 Who doesn't want their first kiss to be a pig? Are white gold diamond wedding rings the new thing for men? 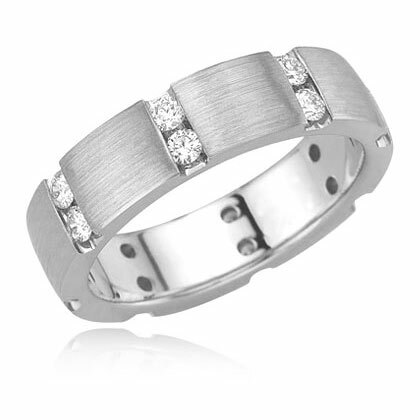 When my husband and I got married almost 12 years ago platinum and titanium bands were becoming pretty popular. These rings have had their heyday but I’m noticing a comeback in the white gold diamond rings for men again. Their are cheaper offerings online made with a bare minimum amount of gold, which makes resizing rings more difficult and can actually damage the jewelry when attempted. I know this first hand after buying a white gold ring in Alaska on a cruise, once the ring was resized it looked horrible.